Invision uses the latest technology along with a warm, personal touch to provide better service for you. We focus on communication, convenience, quality control and diagnostic capability. See below what our technology can do for you. 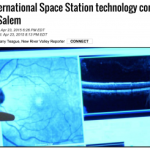 Investing In Early Detection.Space Station Technology Comes To Invision Blog Post. We were interviewed by WSLS 10 about our new diagnostic instrument. Invision was one of the first optometrists in Southwest Virginia to obtain this technology and to be able to offer this state-of-the-art technology to our patients. The exact OCT make and model we purchased can be found on the International Space Station and is being used to assess astronaut’s eyes in the weightlessness of space. This quick and easy test is available in Salem and Christiansburg. 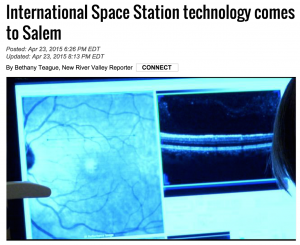 Find WSLS TV-10 News Coverage Of Invision Technology Here. This is a very popular new service for our patients. They tell us in a busy world our system is efficient and convenient. It lets you decide how you want to receive appointment confirmations: texts, email, both. It is completely customizable based on what works for you – opt-in or out anytime. With this system, you’ll receive an e-mail message 30 days before your appointment reminding you of the date and time of your next visit. A few days prior to the appointment, you’ll receive a second confirming e-mail. Simply click on CONFIRM to let us know that you are coming. You can easily contact us with any needs from that same email. Thorough preventative eye exams are a key to healthy eyes. 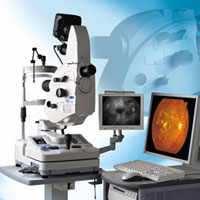 Our high resolution digital tecnology captures an image of the internal structures of the eye. This quick and easy tests documents your eye health today and serves as a baseline for future visits. Our patients, especially those with diabetes, appreciate this technology that helps keep eyes healthy and seeing clearly. In addition to digital imaging, our scanning laser cameras provide detailed, color coded maps of key structures inside the eye. This information previously could only be obtained in hospital or specialty care settings. Today we can have the same information at our fingertips in just a few seconds with a quick and painless procedure. In cases of suspected macular degeneration or glaucoma this information means a quicker, more accurate diagnosis at a lower cost for you. We are committed to keeping your eyes healthy. 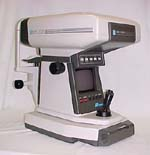 Computerized vision testing is analyzed by your doctor and refined to create a precise prescription. Both Invision locations have in house optical labs and a large inventory of spectacle lenses. This allows us to provide faster service and the highest quality control. Many folks assume all lenses are of equal quality – some learn the hard way that is not the case. We don’t make your lenses in our basement and we don’t get them from 3rd world countries. We know from over 20 years of experience that optical quality lenses from leading manufacturers have the best optics (no distortion and wider reading areas with glare-free and scratch resistant coatings that really perform as promised). Our instrumentation allows our state licensed opticians to take these lenses and custom finish them in the best frame for you. After they pass our 18 point inspection they are ready to provide you the best vision possible and are backed by our unsurpassed 18 month warranty. 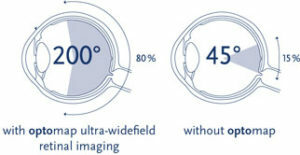 The Optomap obtains a ultra-widefield digital image of the retina using a low powered scanning laser, instead of using dilation drops. It displays over 80% of the retina and can be used to detect multiple diseases such as diabetes, retinal tears, and macular degeneration. The scan takes a quarter of a second, the laser emitting only a brief flash of light. 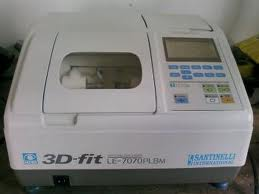 It’s an easy and comfortable diagnostic for patients. Still wearing your mothers glasses? Let us help you find eyewear that you will love. Watch video.